Denny Hamlin Fans » Blog Archive » Win a Denny Hamlin Chase T-Shirt! Win a Denny Hamlin Chase T-Shirt! 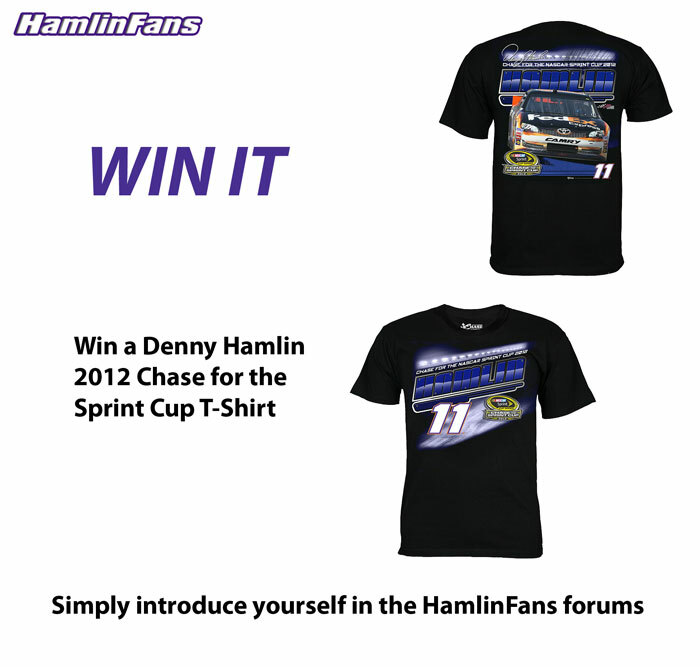 Win a Denny Hamlin 2012 Chase T-Shirt simply by introducing yourself in the forums. It’s easy enough to introduce yourself to other Denny Hamlin Fans and get a chance at winning a t-shirt! The Contest will run from Septermber 17th to September 24th. Winner will be drawn randomly on Septermber 24th. Good luck and I look forward to meeting everyone!